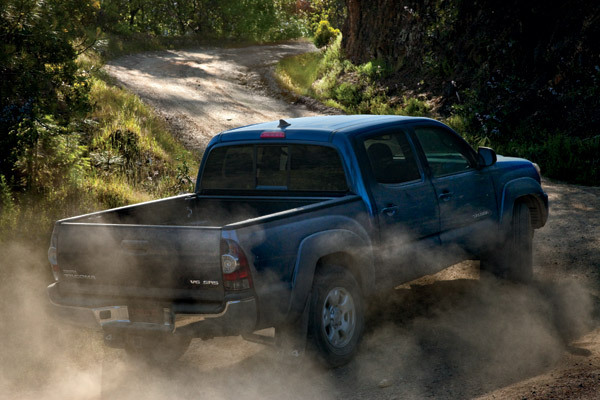 The Toyota Tacoma was first introduced in 1995 as the Japanese carmaker’s attempt of entering the small pickup truck segment with the likes of the American Big Three. While it’s not the best-selling truck in the country, the Tacoma continues to project consistent sales numbers, showing that a pickup doesn’t have to be American-made to be good. The Toyota Tacoma is a small pickup truck that was first produced at Toyota’s Fremont, California, plant in 1995, though Toyota recently changed its production to San Antonio, Texas, and two other international assembly plants in Mexico and Japan. It was first introduced to replace the Toyota Hilux, which was also known as simply “Toyota Pickup Truck” in America. When the Tacoma was first introduced, it was considered a compact pickup that offered three different engine options and a single cab option. Now in its second generation, the pickup is considered part of the midsized segment with the possibility of having one of eighteen different configurations with three different cab options, four transmission options, two bed options, and two engine options.